Get real help with tasks. How many appointments a week do you schedule? We know it is a lot to keep track of. We can handle the schedule for you and ensure you always run on time. How do you generate leads? We can help with your marketing and advertising efforts. Whether it is placing and monitoring advertisements or prepping for trade shows and events, we can manage both daily tasks and larger projects that help you drive business. With all the various social media platforms, it is hard to keep up with them all. Let your virtual assistant handle this for you. We have the tools and technology to pull your social media strategy together to ensure a consistent message across all platforms. We keep you engaged with your audience with relevant content to help you increase leads. Timely customer follow-up is critical, but you are meeting client after client and sometimes you can't return calls until after office hours. Wouldn't it be great to know that someone was following up on your behalf and ensuring action is being taken? 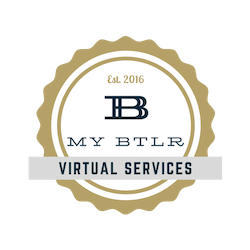 Whether you need a bookkeeper, or simply someone to manage your payroll, invoicing and accounts receivable and/or pay the bills, we can support this side of your business with a skilled virtual assistant. Relying on a bookkeeping service alone doesn't come with the added "office manager" functions a virtual assistant can provide. Large companies have entire departments to provide these services. However, in a small business, we know this often falls on your plate. Is your time best spent finding venues, ordering food or booking travel? Let you virtual assistant handle these task for you so you can concentrate on the content of your meetings as opposed to logistics. Let your virtual assistant manage your post-sale customer satisfaction surveys. We can manage the process and even help you get more positive online reviews. Hundreds of emails can be daunting. And, delayed responses can be the difference in closing a deal or not. Let us work behind the scenes to ensure this part of your communication platform runs efficiently. We can manage your website and keep it up-to-date with the most relevant information. We will also make sure your website is integrated with your social media platforms. Learn more. As a small business, we know how important leads and customers are to you. We can help manage administrative aspects and ensure actions are taken. We can even help integrate your CRM with your social media, marketing, and adverstising platforms to help you unlock additional value from your relationships. Contract management, quotations, proposals ... there is a lot to do. We can securely complete paperwork and manage the documents on the back-end in a secured cloud solution. Electronic signatures from clients and easy access to retrieve your information is seamless when you virtual assistant is behind you. Whether you are on the road, or in the office, we've got you covered.